Just like the people they’re helping, weight loss programs come in all shapes and sizes. There are programs that focus on healthy eating, while others feature intense fitness regimens, and then there are some which combine the two for maximum efficiency. In these segments, there are two types of programs. The first, is wholly inclusive. These are programs like Jenny Craig and Nutrisystem. Within these programs, most of the “work” is done for you, with pre-planned meals that require minimal effort to prepare. Others, like Weight Watchers or the 3 Week Diet program, require the user to plan and prepare their own meals in accordance with the system. Weight loss programs are geared towards anyone who needs or wants to lose weight. That being said, consumers, especially those who are obese or suffer from health issues, should discuss potential weight loss programs with their doctor before starting. Different personality types will benefit from distinctive types of programs. A self-starter may get optimal results with programs that allow them to learn the information and plan for themselves, which tend to be less expensive than the more integrated weight loss services. On the other hand, those who need extra help getting started may find the best results by utilizing services that offer coaching as part of the package, which does tend to cost more. Consumers with food sensitivities or diet requirements can search for specialized diet plans from numerous sources until they find the one that fits their needs. For example, Nutrisystem has plans that are specially formulated for vegetarians or diabetics. There is an epidemic that is causing many people to become overweight or obese. One of the main causes is the food we eat. There is a lack of awareness among most individuals which leads to both over consumption and a proclivity to choose foods that appear to be healthy, but in fact, are not. Weight loss programs are a great way to get educated about portion sizes, food choices, and to learn about how they interact with your body. 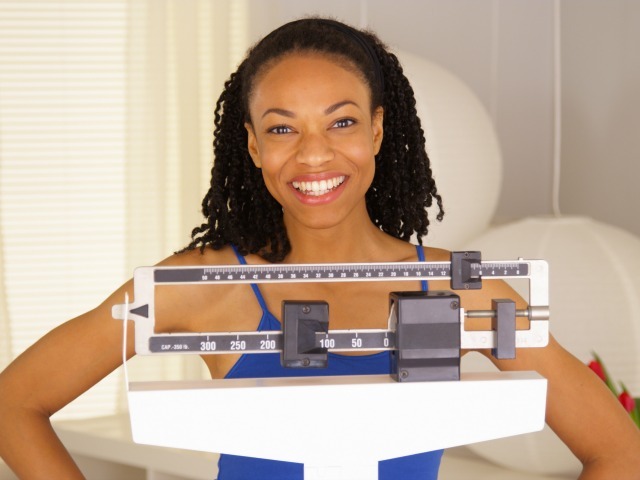 Be realistic: No one is going to lose a noticeable amount of weight overnight. Many weight loss plans promote goals that may be unattainable in short time periods for some people. Think of your new plan as a lifestyle change rather than a diet. Long-term results are more important than short term, and are easier to maintain. Consider whole health: Sure, everyone wants to lose a few pounds for aesthetic purposes, but health should be the main goal, rather than a skinny beach body. Some programs allow for lenient eating as long as certain calorie restrictions are met. These plans may sound more fun and easier to implement, but they do not create long-term success. Combination is the key: Focusing on just exercise will not be enough for weight loss in most cases. A comprehensive plan is the best way to go. Utilizing both healthy eating and exercise gives the plan user complete control over their weight loss experience. At the very least, some sort of nutrition element should be included in each person’s plan. Give Yourself a Break: It’s important to enter any weight loss plan with extreme motivation to make the changes necessary to get healthy. However, many people slip. These slips can cause people to give up. After a bad choice, get back on the plan as soon as possible. If you know your motivation has a tendency to wax and wane, search for a plan that includes a coach or some sort of support to help you overcome slumps.